The 2019 course is full. To stay in the loop for 2020, please join the mailing list on the “About” page. Thank you! For the serious student of herbal medicine, human health, and the ancient, sophisticated connection between people and plants. 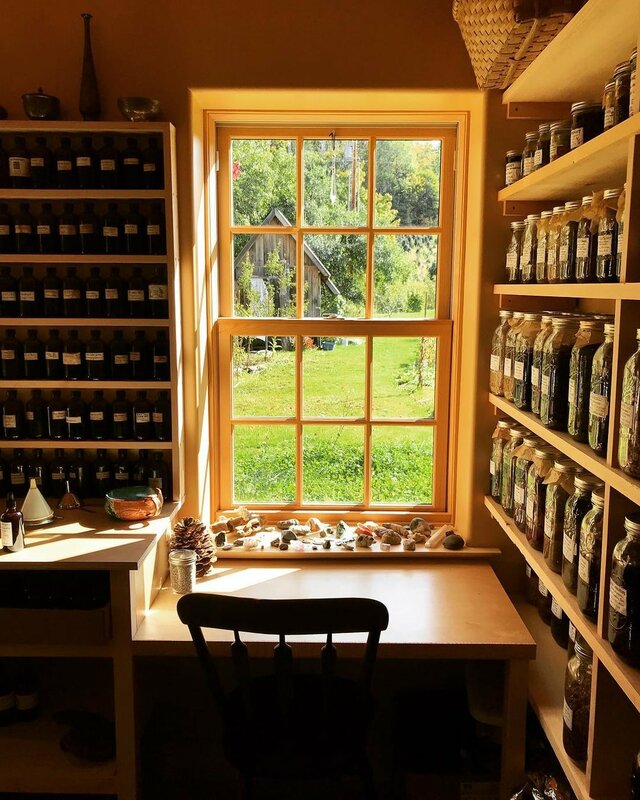 This second year course is open to students who have completed the Sweetgrass Herbals Creating Your Home Apothecary course or comparable study elsewhere. The goal of this second year of study is to increase the depth and breadth of your understanding of the human body and emotions, the pharmacopeia of medicinal plants who surround us, the intersections between these plants and our health and well-being, and the movement and mechanism of disease through ecosystems and our bodies. This is not a course intended to launch you directly into a clinical practice, but is a hugely supportive and necessary stepping stone if that is the path you are hoping to follow. Think of this year of study as a middle step in a path toward becoming a full-time clinical herbalist, and as a strong, comprehensive foundation if your path is one of personal, family, and community support. It is a way of seeing yourself and your loved ones through a lifetime of changing health - both long-term trends based on individual constitution and in-the-moment support as needs arise. If you are working as a healthcare provider, it is a complementary addition to your current healing work. A certificate will be awarded upon successful completion of the course. Working with the medicine plants is a calling. If you’re here, you probably feel it too. Nurture that feeling, whether it’s a tentative stirring in your soul or an already full-fledged passion. It is one of the deepest, oldest, wisest, and most absolutely normal things about being a person. The plants - both those we call food and those we call medicine - are our venerable teachers, and it is their generosity and nourishment that have kept us alive for as long as we’ve been people. Forever and ever we’ve lived in relationship with them. It is only in the last little while that many of us have lost that tangible connection. 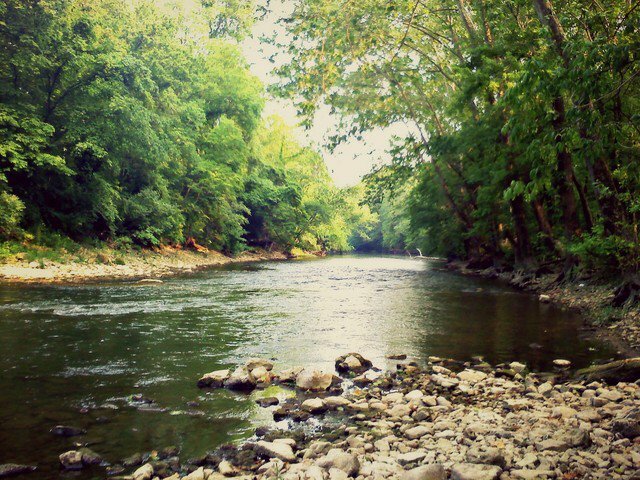 As a person who has dedicated her life to learning, remembering, and listening to the wisdom of the green world, I know that this path of understanding, while complex, is not complicated. It makes sense to our hands, to our minds, to our hearts. When we go to the forest or the garden with a pocketful of gifts and a basket in hand, our feet feel the old path we have suddenly stepped onto, and our bones rejoice. (and especially) to describe a person skilled at manual tasks. We have lost the reverence for manual labor, and in fact, think of it as something to avoid. But in reality, labor done with our hands and bodies is where the magic happens. Our hands carry the memories of a thousand grandmothers harvesting flowers, stripping bark, grinding seeds. This is not figurative: try it and see what happens. Your hands will remember how to do the work with ease and grace while your mind is still wondering how to begin. And so Practical Herbalism takes on a new dimension. 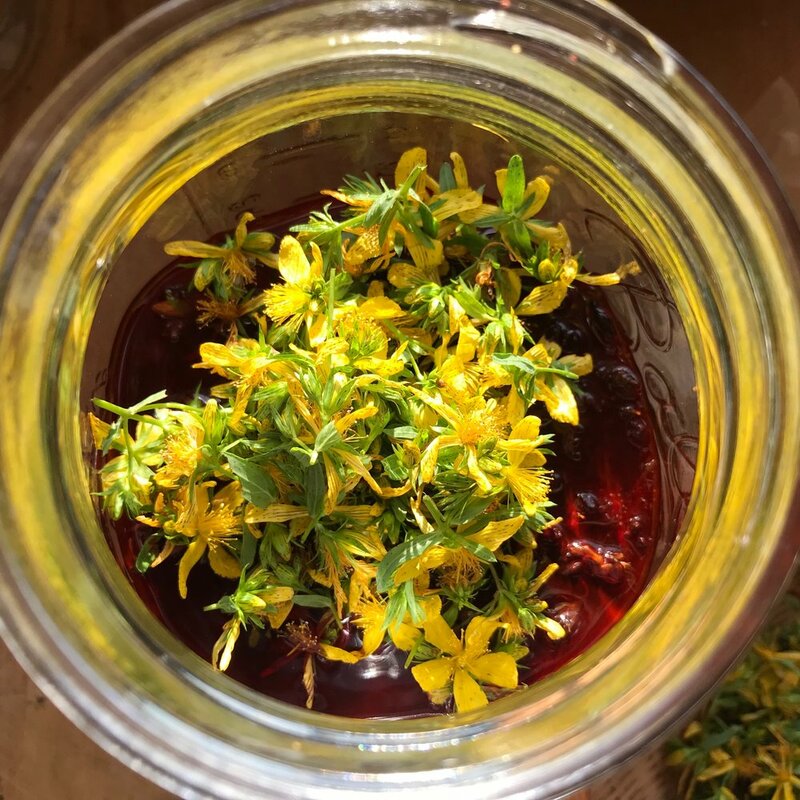 Not only are we learning what we need to be effective herbalists in real-life scenarios, we are also awakening the latent magic already residing in our bodies and souls, and in doing so, are learning what it means to be connected to the plants, to our bodies, to the presence of disease and imbalance. Once we know that, we can begin to really see how to move things in the direction of sanity and equilibrium. Expect lots of practical skills in this course, and leave open a throne for the old wisdom to blossom in your heart as well. Guest teachers will include Chris Marano, RH-AHG, head of the Clearpath School of Herbal Medicine. The cost of this course is $1200, paid either in full by February 8th, 2019, or $600 paid by February 8th and $600 by July 1st. If you’d prefer a different payment plan, please be in touch.